Save the date and reserve your seats. 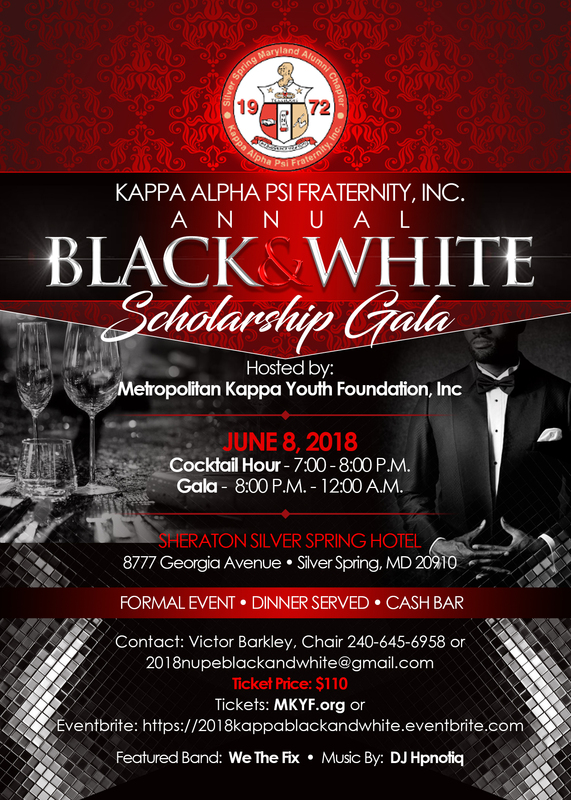 The 2018 Annual Black and White Scholarship Gala is a collaboration between the Metropolitan Kappa Youth Foundation, Inc. (MKYF) and the Silver Spring (MD) Alumni Chapter of Kappa Alpha Psi Fraternity, Inc. The Gala proceeds provide funding toward scholarships and mentoring programs for minority and disadvantaged youth in the Metropolitan Washington, DC area.